Learning Choreography, Les Mills™ Instructors! All the time instructors discuss the best way to study and remember different choreography. But there is nothing called the best way, there is the best way for each one of us. Studying choreography needs some attention, and people learn in different ways, taking in consideration their different skills and mind-sets. Some people depend on what they read, others depend on what they see and some depend on what they hear. People are different and they learn in different ways. 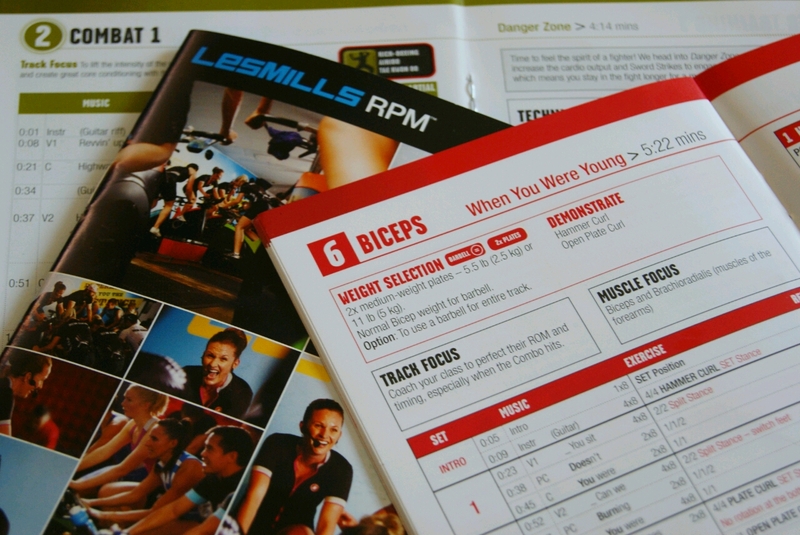 I have seen people learning in different ways and I have also read different discussions over Les Mills™ forums, as instructors there also discuss all the time ways to learn their choreography, here are some basic tips! It’s important to keep listening to the music over and over till you know it by heart. It’s important to be able to know when are the changes in the music are coming, (verses, pre-choruses, chorus, bridges etc). This is going to help you learn the choreography faster. It’s possible to listen to music everywhere now, and we all get stuck in traffic, use that and listen to your tracks, or in the office, while gardening, washing the dishes or surfing online. Some people once they get their new releases rush to watch their DVDs. For me I would do that to see if there are any new ideas in the new release, but none of what I’d see in the DVD would stick to my head from the first glance. But for some people it works perfectly fine, they watch it twice or thrice and it’s all in their heads! Magic, right? In case you are not a visual learner, you will have to stick to option one first. Reading the notes helps us find our bases or hints to study. Some of you might just listen to their music and follow choreography notes, reading them carefully a few times without the need to see what’s happening in the DVD. Some people’s brains register what’s being written or read, so you might be one of these who’d rather read something to remember it. What if sticking to one method only doesn’t help? Then you should try and combine methods together. For me I listen to the music first till it’s in my head, then I pick up the choreography notes and I follow while listening to music. Once I memorize it, I might try and script it, and at the end I watch the DVD to see and visualize what I learned. Some people actually follow the DVD physically, they push play and apply whatever is in there over and over till their bodies get used to it, like Wii games. Some people find it effective to practice together in pairs or groups to learn together, others find that disturbing, or a waste of time. write on a piece of paper, after watching the DVD or reading the choreography notes, the choreography your own way, the simplest way possible for you to understand. If you use the subway or lots of trains, you can benefit from the time spent there by listening to your music and following your own notes. Or while driving and getting stuck in traffic you can stick that paper in front of you, say over the CD player, while listening to your music follow the notes you’ve written, if you do that over and over you will be able to learn your choreography easily. For me this works and I learn this way faster. PLEASE! Be careful while driving, I don’t wanna be the reason if anyone of you gets hurt! try the previous only when you are stuck in traffic! Good luck learning new releases, be creative and let me also know how do you learn your choreo! I listen to my music first then I watch the video, then I watch the video and take notes on the things I like that they say then I listen to my music with my notes then I watch the video again… details are important! !..then I script it and practice it with the moves. I learn Body Combat by watching the Master Class. I then do the actual Master Class workout at home or the gym. Then review the notes for great instructional cues. Body Pump I learn by looking at the notes and listening to the music. Afterwards I thenI review the Master class. For GRIT I look at the notes and Master Class at the same time. The notes have excellent cues for teaching form and giving reminders to the team. Then I listen to the music with the notes. Very interesting, you have different ways to study different programs! Hey there – Im a DVD learner. I study the moves and combinations so that I master the technique first. Then I’ll hand write the choreo in short hand that only makes sense to me 🙂 but by writing it down, i learn fast! Only then, will I jump into the studio and see how I look…generally my choreo is solid by then. I have a Samba Reggae DVD I absolutely love and a kickboxing DVD. And since I watched them over and over I am familiar with the routine however, I like the suggestion to just listen to the music and visualize. I should try that!